Project 1: Serial communication with Bluetooth hc-05 fc-114. In this project I will explain about a cheap way to communicate wirelessly with a Arduino Uno board and a PC/laptop, which already has a Bluetooth module on board or through a Bluetooth USB dongle. 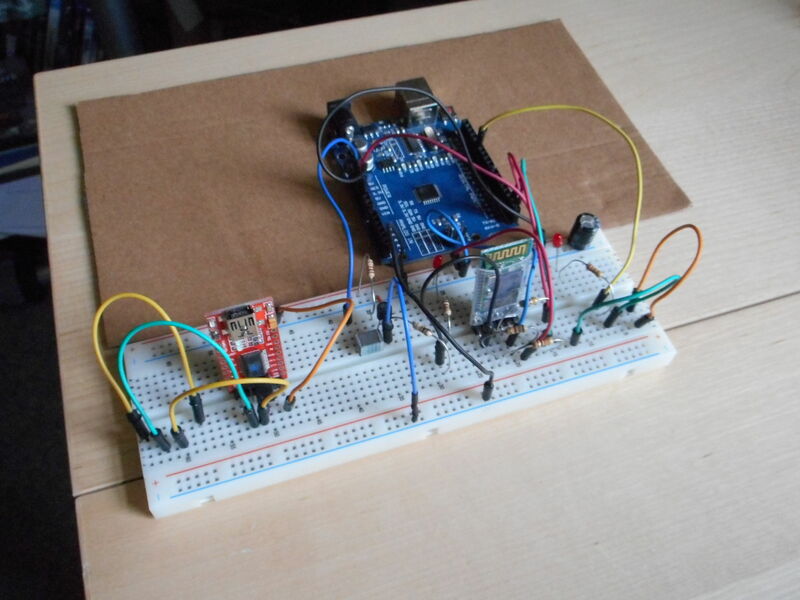 PROJECT 2: Output control with serial commands on aN ARDUINO UNO. Through the serial communication UART hardware port on the Arduino UNO with commands we can switch outputs ON or OFF. The Arduino software is all about strings and recognizing parts of the string CMDs. As an example LEDs are used to test the circuit. Other things like relays may also used to switch on power circuits. People who I find very inspirational.